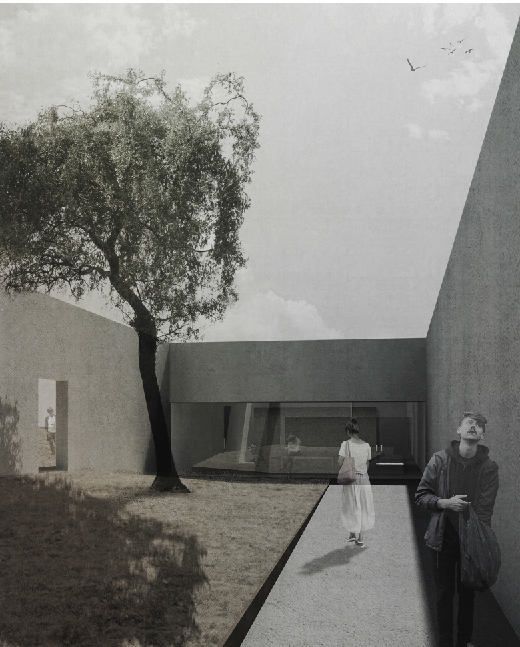 The proposal seeks to take the baton of the site and its ancient history almost in a silent way, quiet, in order to highlight and enhance its qualities. There is a strong spiritual component in the landscape itself and its preexisting interventions that invites us to identify them and provide a certain continuity. A linear path between the oaks leads us from the north (parking) to the south, to place us in the heart of the hill. While the existing road brings us to the highest point, the extreme, where we find the eclipses formed by the menhirs, a new furrow in the ground takes us into the earth up to the encounter with the historical axis.The ancient axis crosses from east to west the several megalithic structures, whose functions were focused on astronomical observations such as the use of solar clock through the projection of their shadows. 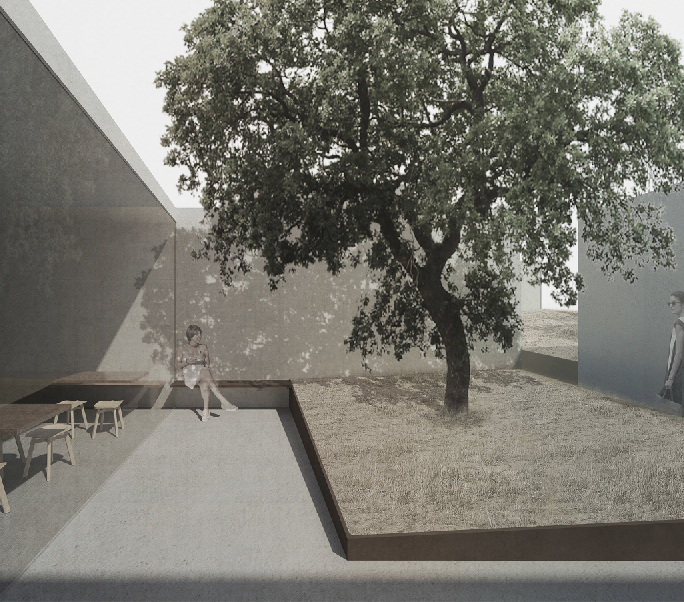 Our intervention recognizes the role of this axis and provides continuity, spreading out under the trees, embracing them, showing their reddish barks up to our eyes, recognizing the value of each of them and collecting their shadows through the new whitewashed walls. In contrast with what our ancestors have done with the menhirs, our intention is not to create new shadows but to receive the existing ones. 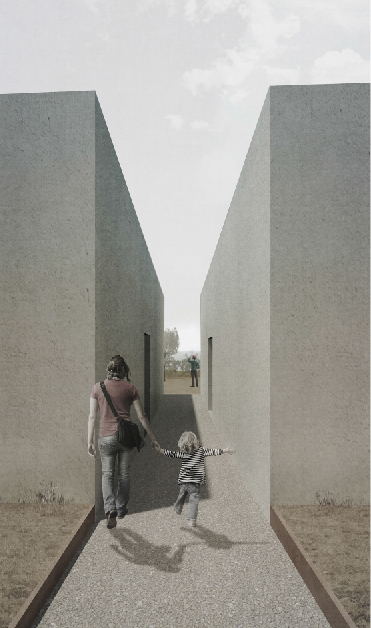 The new intervention setle in the country side conceding the main role to the beauty of the land- scape and preserving as much as possible the uniqueness of the visitors experience (as it was originally conceived). Walking through the axis we accede to the various areas that identify the peculiarity of each programmatic space. Diferent patios offer us the posibility to rest, take a break, or even escape, that way multiplying trajectories and paths. The axis ends decompressing westward, opening to the wild landscape, even offering the chance to see the ocean on clear days.